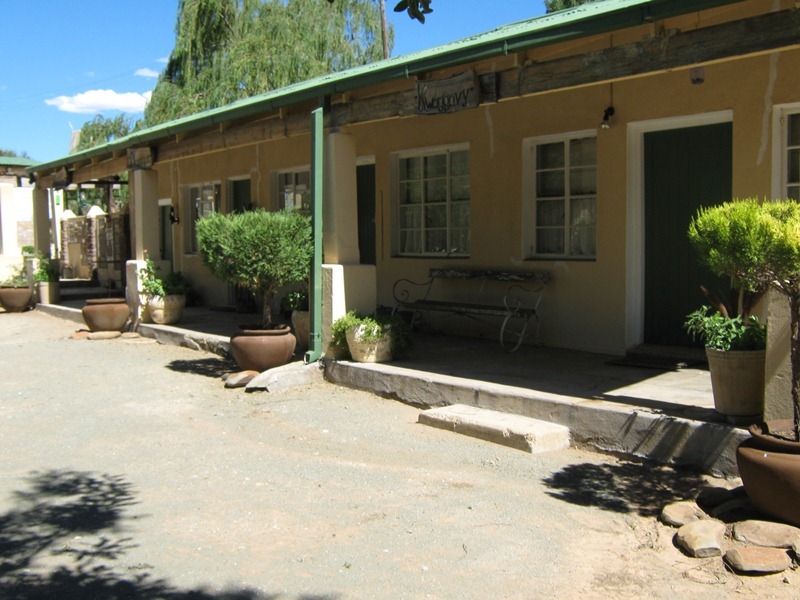 Bushman Rock Karoo Guesthouse is located on a Karoo farm between Colesberg and Hanover; in the heart of the breath taking scenery of the Karoo.<br /><br />It offers three comfortable, en-suite units which can sleep up to ten guests and a quiet retreat.<br /><br />The three units share a kitchenette equipped with cutlery, crockery, a fridge, cold farm water, ice, and a microwave oven, two ring stove with an oven, a kettle, fresh farm milk, teas, coffee, cremora and sugars.<br /><br />The two family units which each can sleep up to four guests have a built-in fireplace. 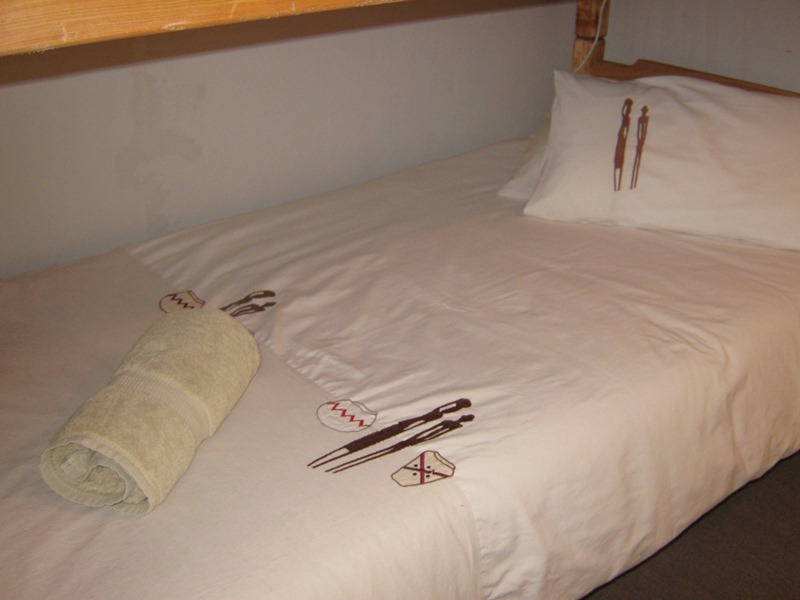 All units have burglar bars, gauze-covered safety gates, wall heaters, hot water bottles and mobile fans.<br /><br />The main house offers two separate bed rooms; one with a double bed the other with two three-quarter beds which have to share a bathroom and a separate toilet.<br /><br />Meals are served in the main house; usually in the kitchen. The main house kitchen also offers a built-in braai.<br /><br />Enjoy a nice cool off in the splash pool or just relax in the spacious, well timbered garden with a book from our library.<br /><br />An outside braai is available. We are pet friendly. No smoking in any of the units.<br /><br />There are a lot of activities offered at the Bushman Rock Karoo Guesthouse such as bird watching or fishing, star gazing or a night drive and view nocturnal animals, game farm drives by prior arrangement, hippopotamus viewing by prior arrangement, participating in or experience real farm activities such as milking, dosing sheep, dipping, docking lambs tails, bottle feeding lambs an so forth.<br /><br />You can also experience a magnificent Karoo sun set, take a long, peaceful walk or bicycle ride,<br /><br />visit the bushman etchings and the bushman museum. 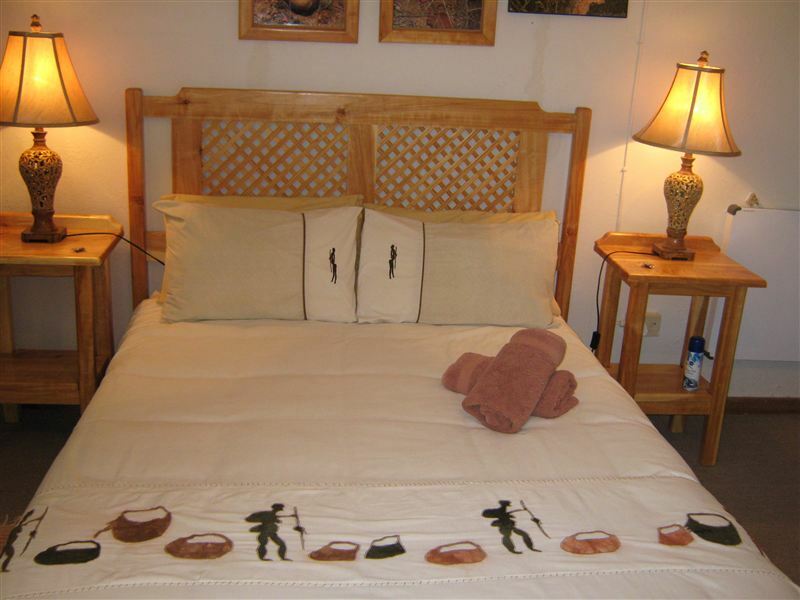 "We loved the remoteness and the flexability of the hostess." "The farm animals and pets." "Was disappointed that the pool was not available as that was the deciding factor in choosing our overnight stay. We should have been notified. Otherwise clean and pleasant." "We received lovely service and delicious food. The room was neat and clean. The owner was welcoming, accommodating and very friendly. We enjoyed our stay. Thank You!" 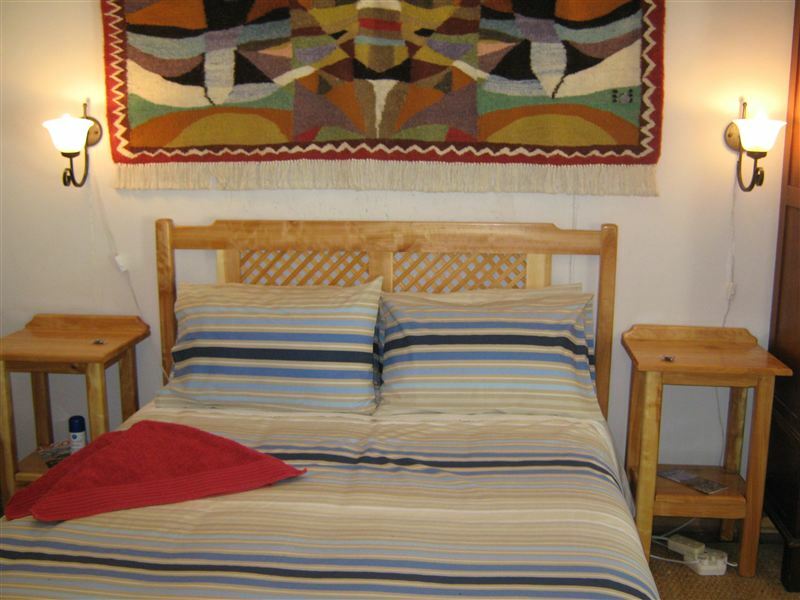 "Bit of a mission to get to but a pleasant stay and friendly owners who went out of their way to stay up for our late arrival"
"Baie lekker geslaap. Het die gasvryheid baie geniet. Sal weer daar oorslaap." "I am happy to stay here. A lonely place where you can relax." "A very comfortable stay. The stars were amazing!" "The 19km dirt road is not for anything other than a bakkie or SUV. If you care for your car don&apos;t go there. Our room was full of dust. The mattress was ancient. The food was extremely over priced. R150 a meal then you get worsies and "aanmaak koeldrank" with stale malva pudding. The shower head was nice and the pool was a blessing as it wad over 40 celsius." "Very good hospitality. It&apos;s a nice alternative for an overnight stay between Joburg and Cape Town." 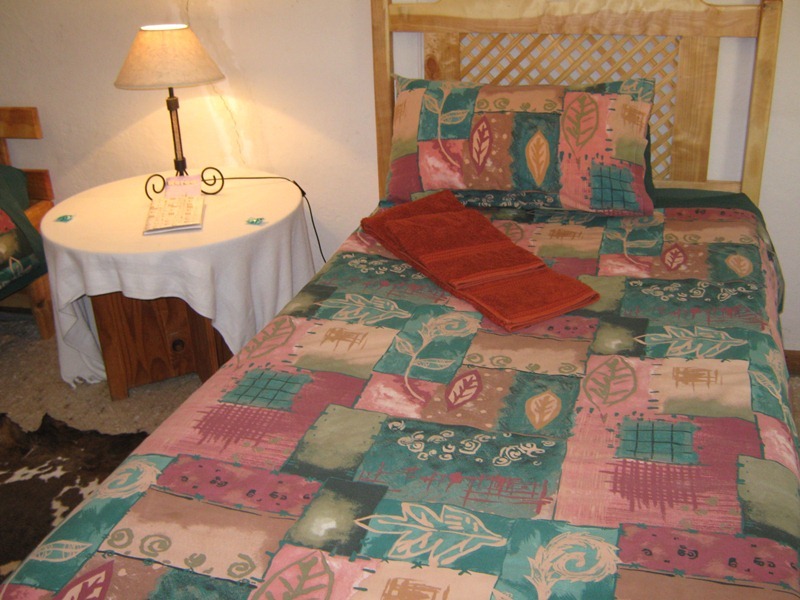 "Good Karoo hospitality far enough away from the N1 to enjoy the silence and stars of the Karoo. The 19 km trip on farm road is well worth the effort."